Team West has been delving into the collection at the Tenement House to find out about eating and cooking in a Glasgow tenement in the 20th century. Entering the Tenement House feels exactly like stepping back in time, and cataloguing its contents has certainly been an adventure so far. 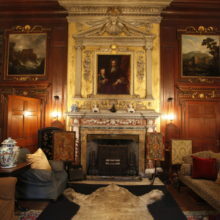 The flat was built in the 1890s and consists of four rooms and a large hall. 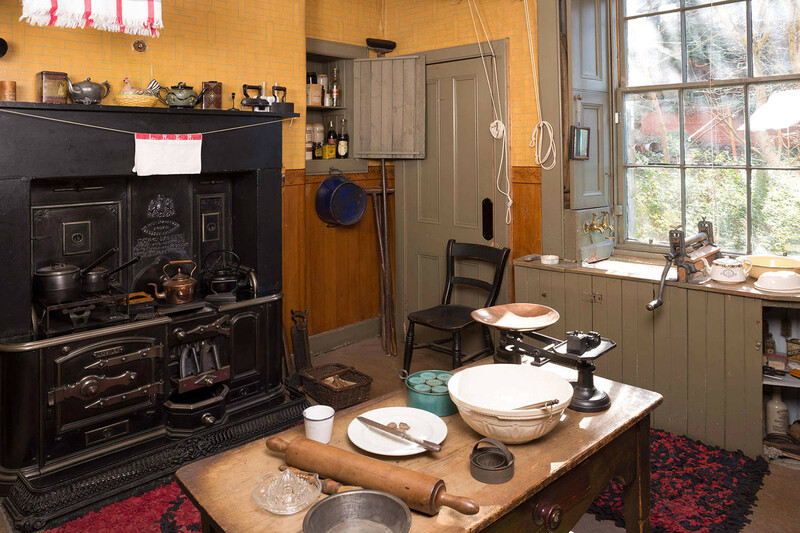 Although we can assume that the parlour was the pride and joy of Miss Agnes Toward, who lived in the flat from 1911 until 1965, the kitchen has been by far the most fascinating room for us to explore. It is easy to understand why Miss Toward spent most of her time at home in the kitchen. This small room faces the back garden and had everything she needed: a cozy box bed, a big cast-iron range, a sink with a wringer, a pantry and all her cooking utensils. Almost 90% of the objects in the Tenement House belonged to this remarkable lady and are a reflection of her daily life. At a time when electricity was uncommon in houses and few people owned a refrigerator, shopping was done very differently. Going for the ‘messages’ was a daily activity and almost a social event, where people visited small family-owned shops in the local area and received deliveries of goods such as coal and milk. Miss Toward was a member of the St George’s Co-operative Society at St George’s Cross, which was founded in 1870 With local branches across Scotland, co-operative societies built their own factories, produced their own goods and shared all the profits with their customers. 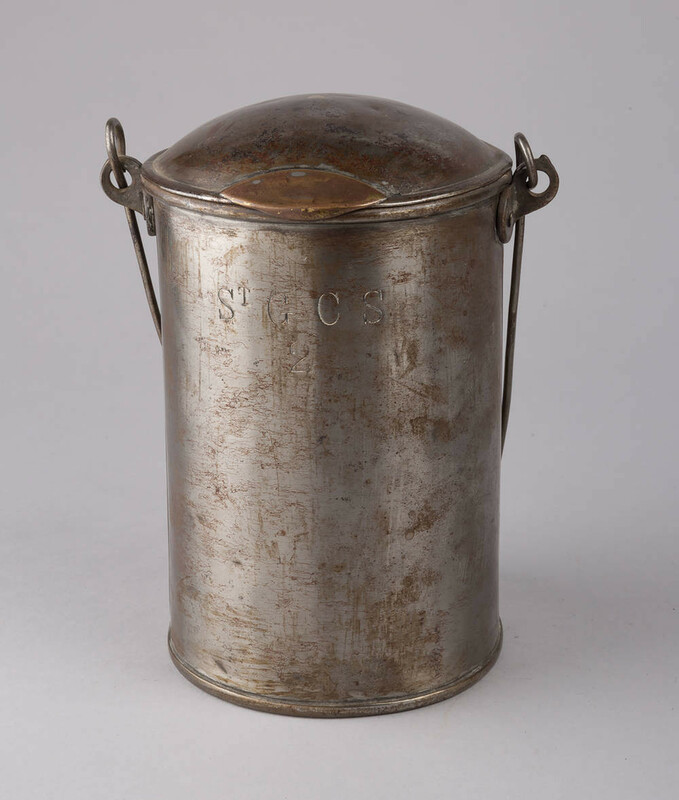 The metal can pictured was supplied by St George’s co-op for delivering milk. Once it had been emptied by the recipient, the delivery boy would collect it on his second round in the area. 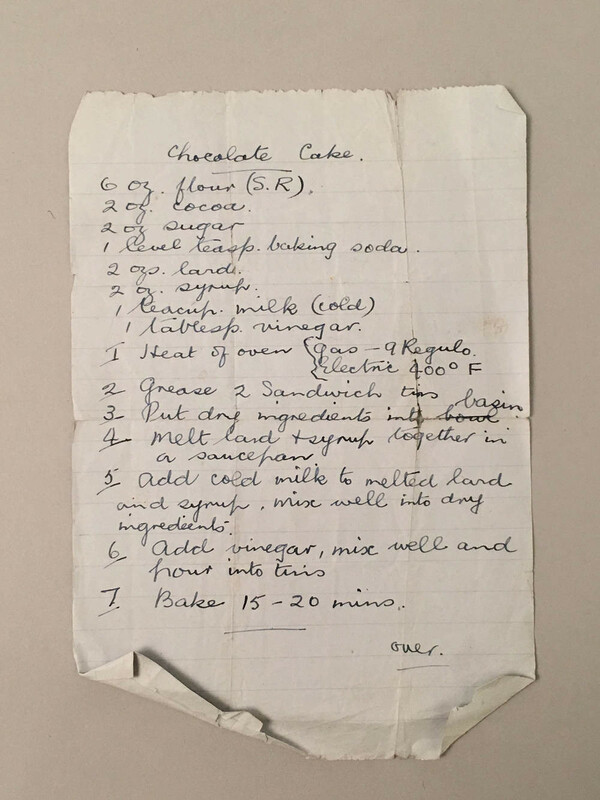 Miss Toward loved to cook, but as she had lived through two world wars where ‘waste not, want not’ was the motto, many of the goods, spices and foods she used were kept for a long time. In the fireside cupboard in the kitchen there is a large collection of jam jars, some with jam still inside. The oldest is a jar of plum jam, made by Miss Toward in 1929! 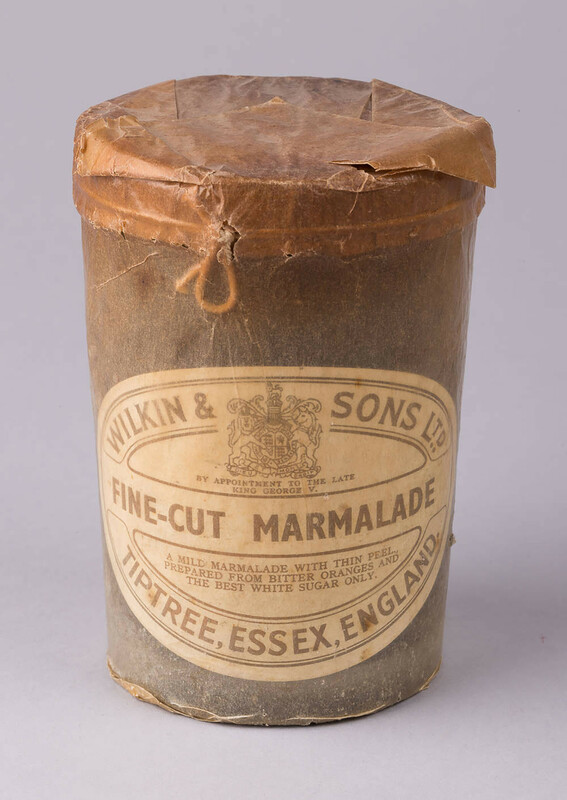 The most captivating object we found is an unopened orange marmalade jar made by Wilkin & Sons, dated 1941 and still in its original packaging. During WWII the main task of the Ministry of Food was to oversee rationing in the United Kingdom, keeping prices down and promoting recipes that worked with the rationing system. Amazingly, during those difficult years Wilkin & Sons managed to keep producing their original recipes with their high fruit content. The price on this jar, authorized by the Minister of Food, is 1/3 shilling per lb, which equates to around £1.40 in today’s money. Many of the jars and bottles in the Tenement House kitchen are still filled with their original contents. Consuming food in a museum environment is always forbidden as the crumbs could attract dangerous pests, but when food is part of the collection itself the situation is different. As it is often dried and kept in a controlled environment, ‘historic food’ and the containers in which it is preserved can offer an interesting insight into people’s everyday lives. But in case you were wondering, we were never really tempted to taste it ourselves! This article is by Silvia Scopa of Project Reveal Team South-West. Project Reveal is a multi-site digitization project of unprecedented scale. It will result in an updated database with high quality images and unique object numbers for every item in the Trust material culture collections. With your support, we can help the Trust manage its collections more effectively. Most important, we can help the Trust discover, better understand, and share its treasures with the world. This article was originally published by the National Trust for Scotland on April 6, 2018.